Sophie Maisey has Isleworth in her blood. She has spent her entire life in the area and attended St Mary’s and Gumley House schools before graduating from University with a degree in psychology. Sophie started at Oakhill as a trainee sales negotiator in 2013. 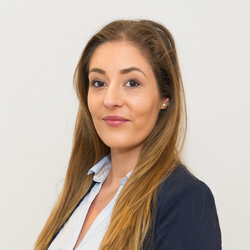 Sophie has proven herself to be an important member of the team and has progressed to the role of Senior Negotiator. In May 2015 she completed the technical award qualification for the National Federation of Property Professionals and became a qualified member of the National Association of Estate Agents. Michael Wight, Managing Director of Oakhill estate agents said: “We are delighted that Sophie has successfully completed this important qualification which clearly demonstrates both her, and our, commitment to the highest levels of professionalism “.